What is a Thermal Window? What are the Benefits of Thermal Windows? A thermal window is designed with a lower U-factor than most standard windows. The U-factor is the speed at which heat is lost, so the higher the U-factor value, the less efficient the window. Since thermal windows are designed with the lowest U-ratings, they’re extremely insulating and will effectively keep heat in or out of your home, depending on the season. Insulation: thermal windows increase and preserve the heat that your home absorbs from sunlight in the colder months. In warmer months, they keep heat out more effectively. Regardless of the season, these energy efficient windows help your home regulate its temperature more easily, thereby reducing your energy bills all year long. Noise control: Thermal windows are more soundproof than their traditional counterparts because of the extra layers of double paned glass windows or triple paned glass windows. Thermal windows are available with different filler gases. They can be filled with argon or krypton gas to give them a lower U-factor. Take a look at the U-factor of each window before the gas is added, and then look at the difference after the gas is added. You could see the U-factor drop by over .1, which is a significant jump in efficiency. Special thermal coatings—known as low-e or low emissivity coatings—are designed to reflect heat energy either back into the home or away from the home. A clear sheet of glass only reflects about 16% of heat energy, but windows with a low-e coating can reflect up to 96% of heat energy. While most of the coatings are less effective than that in practice since they aren’t as dense, they can still make a significant difference compared to standard clear glass. In colder climates, heat penetrates the thermal windows, and in warmer climates, that heat is reflected. 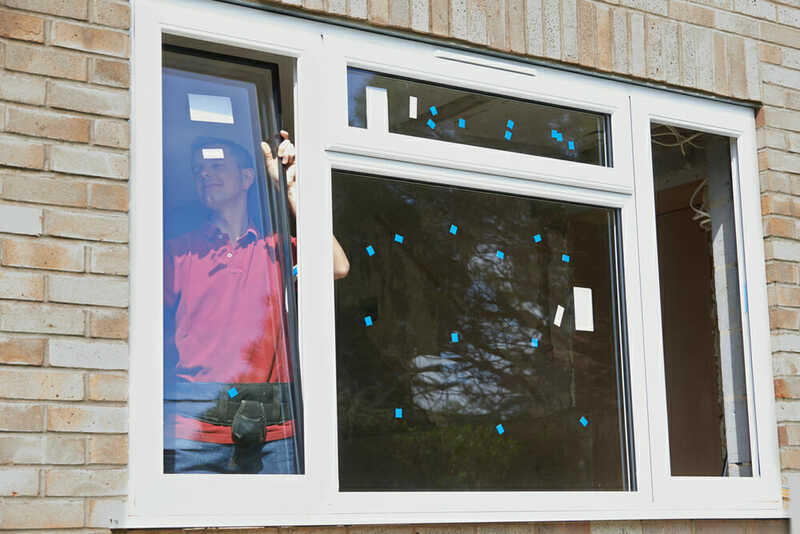 If you’re familiar with two types of window ratings, you’ll be able to find high-quality thermal windows for your home. First is the U-value, which dictates how freely heat can move through the window from one side to the other. A high U-value means that heat can move freely and a low U-value means that heat is being kept in or out depending on the need. The second is the SHGC (Solar Heat Gain Coefficient), which measures the amount of heat light to enter a home. A high SHGC allows most of the heat light into your home for warmth, while a low SHGC reflects it out in order to keep your home cool. While you want a low U-value no matter what type of climate you live in, the SHGC level you want depends on where you live. In hotter climates, a low SHGC rating is best. In colder climates, a high SHGC rating allows more light to enter and effectively heat your home. When you’re shopping for thermal windows, pay attention to the VT or visible transmittance rating of the window. When special tinted layers and coatings are added to the window, they distort your view of the outdoors and reduce the amount of natural light entering your home. The VT rating of the window signifies how much light can pass through and how bright your home will be. A very low rating means you’ll be blocking out light—which might be perfect for certain rooms, like a home theater. When you’re shopping for your thermal windows, keep an eye out for the ENERGY STAR label, since most of these windows are considered thermal windows. It’s true that they’re more expensive than their traditional counterparts, but considering that they’re energy-efficient and will keep your home more comfortable year round, thermal windows make a wise long-term investment.